Working with all flexible workspace and office space providers in Leeds, we provide a full range of options to suit all workspace requirements. Please contact us to receive your FREE, latest office space availability report for Leeds. Availability is updated daily and your report – bespoke to your requirements – is delivered to your inbox in minutes. 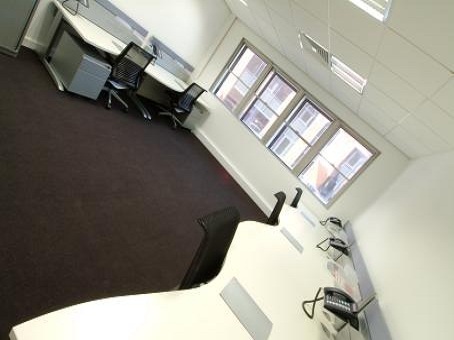 How do I find available serviced offices and flexible workspace in Leeds? The TOPS team has several decades’ worth of experience in acquiring office space of all types in Leeds and throughout West Yorkshire. We work to understand your bespoke requirements and precise specifications, and present suitable available options from a range of serviced offices, managed office space, co-working spaces, private offices and leasehold offices. Why is Leeds a popular business and office space location? Leeds has an industrious past being a key city during the Industrial Revolution. The city is now a major centre of education and has attracted major occupiers from diverse sectors including; communications and media, tourism; and is the UK’s largest centre for professional and financial services outside of the capital. The wider city region of Leeds has an economy worth over £62.5 billion per annum and this has grown almost 40% over the last decade. Since the recession of 2008, employment figures have risen by 11,000 and the city now has the highest ratio of private-to-public sector jobs of all major cities outside of the capital. The Leeds City Region Revolving Investment Fund (RIF) is helping to boost the economy by providing loans of over £1 million to support commercially viable private sector-led infrastructure and construction projects. The city remains attractive to footloose occupiers as the cost of real estate and employment (2 of the top 3 costs to any business) combined with an impressive employee talent pool, give it a competitive edge over other major regional cities. 2017 saw a record year in terms of office space take-up for the city – reaching over 1m sqft – the highest ever recorded. 2018 started positively, too – the steady demand meant that Q1 levels were 10% above the 5-year quarterly average. There are a number of new developments in the pipeline, which will deliver large scaled mixed-use schemes across the city providing more and more space for Leeds businesses. What sorts of offices are there available in Leeds? 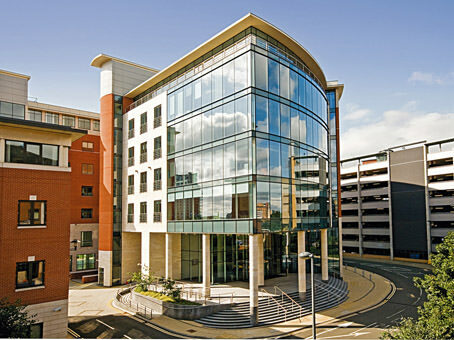 As well as conventional leasehold office space in Leeds, there are several examples of serviced offices, managed offices, co-working spaces with both hot desks and dedicated desks; and private offices. 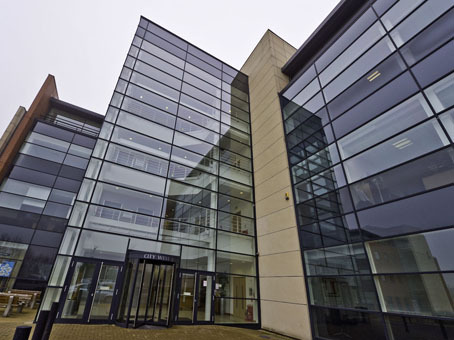 The traditional central business district is centred by Park Square providing many office space options on Park Place, St Paul’s Street and York Place, and the surrounding streets. 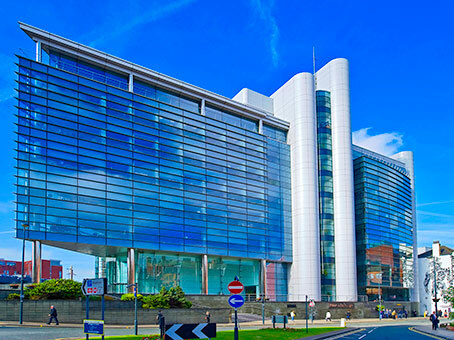 There are several examples of new Grade-A office space options around the city including Princes Exchange adjacent to the railway station, Bridgewater Place to the south of the city centre, and Wellington Place – on one of the main arterial routes into the city. 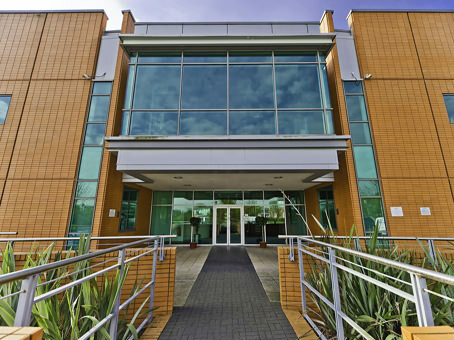 There are also several high-profile business park locations around Leeds including; Thorpe Park, Leeds Valley Park, CityWest Business Park and Lawnswood Business Park. Where are the transport links in Leeds like? Leeds has been identified as one of the most car-dependent cities in the UK. The city is accessible from the A62, A63, A64, A65 and A660 roads, and is also situated on the A58 and A61. The M1 and M62 motorways both intersect to the city’s south and the A1(M) passes to the east. Additionally, there is a city centre motorway network – the radial M621 takes traffic into central Leeds from the M62 and M1. Leeds train station is located directly in the centre of Leeds and links with all major UK cities with a travel time to London of approximately 2hrs 15 minutes – there are 48 trains per day travelling between Leeds and London on an average weekday. If the high-speed train service (HS2), goes ahead, the average journey time from Leeds to London will reduce to 1 hour 28 minutes. Leeds and its suburbs are served by two main bus companies – First Leeds and Arriva Yorkshire. There is also a zero-fare ‘FreeCityBus’ that runs on a circular route in the city centre and incorporates the bus and railway stations. Leeds Bradford Airport is 7 miles from the centre of Leeds and has a regular domestic and international flight timetable – flight time to London being approximately 30 minutes. 2017 saw just over 4m passengers travel through the Leeds Bradford Airport – it is projected that the number will reach 7 million per annum by 2030. Please contact us to advise us of your unique workspace requirements and we will provide you with a FREE report showing the latest office space availability in Leeds.